Available types of workbenches on special offer include heavy duty workbenches and standard workbenches. 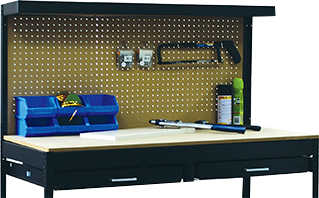 Heavy duty workbenches are suitable for industrial applications. These workbenches made using steel beams and wooden shelves provide sturdiness with excellent stability.